The perfect tool to put unused glitter back in the container. 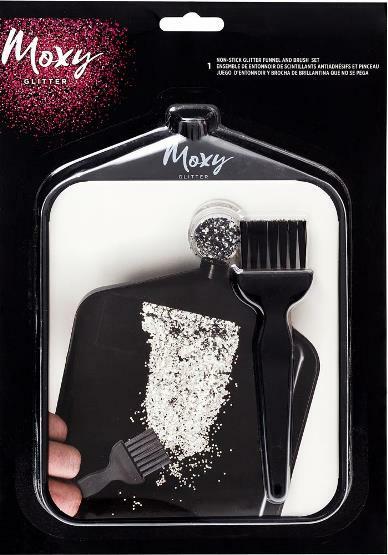 The non-stick funnel along with the brush helps to guide the glitter back in the bottle. Package measures 8.2 x 10.8 inches and includes one funnel and one brush.